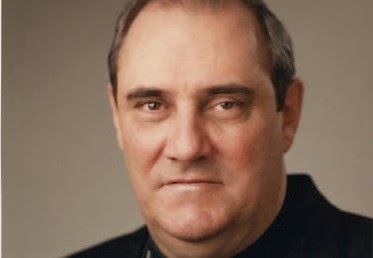 An assistant diocesan chaplain to the JOC in Montreal, Cardinal Jean-Claude Turcotte died on 8 April at the age of 78. Born on 26 June 1936, Jean-Claude Turcotte was ordained to the priesthood on 24 May 1959. Soon after, he was appointed curate of the working class parish of Saint-Mathias-Apôtre, having specifically requested a worker parish from Cardinal Léger. “I went to see Cardinal Léger,” he explained later, ” which people said you should not do. I was warned that you should not tell the cardinal that you wanted this or that ministry because that did not work very often with him. “But I wanted to work in a working class area. So I took my courage in my hands and went to see the cardinal. I guess that I must have been quite eloquent because he agreed to nominate me to a worker parish, St Mathias Apostle in Hochelaga-Maisonneuve. Two years later, he was named assistant diocesan chaplain of the JOC. “Working in the JOC meant being occupied seven days a week. But I did not mind. I loved that ministry. I believe deeply in spiritual accompaniment. Young people came to talk about their lives, you shared your experience, you tried to help them. In 1963, he left for Lille, France, to do a year of studies in pastoral work. Following his return, he became diocesan chaplain to the JICF (specialised Catholic Action movement girls from families with a business background). Later he did a three-year stint as the diocesan chaplain of the Christian Worker Movement. In 1981, he was appointed as vicar-general of the Montreal archdiocese and general co-ordinator for pastoral activities. Pope John Paul II appointed him as an auxiliary bishop of Montreal on 15 April 1982. He became archbishop of Montreal on 17 March 1990 and he was named cardinal on 30 October 1994. He offered his resignation in June 2011 having reached the age of 75 and this was accepted by Pope Benedict in March 2012.